Rev. Daniel Hickman, the pastor of Community Baptist Church in New Canaan, sings a solo at the community breakfast in observance of Rev. Dr. Martin Luther King, Jr. at West Rocks School in Norwalk on Jan. 15. Aaron Cooper has been selected as New Canaan Country School’s next head of school, effective July 1. New Canaan Country School is a co-ed, independent, day school for students in pre-K through ninth grade. During his six years as head of Elisabeth Morrow School in Englewood, N.J., he has been recognized by faculty, staff and the administrative team for both his pedagogical knowledge and his collaborative style. Cooper guided the school through a successful capital campaign and long-range campus master plan, and the development of a sustainable financial model. He also developed and implemented a comprehensive, integrated STEAM program, a renowned instrumental music initiative, and an interconnected diversity and inclusivity program. Prior to becoming head of Elisabeth Morrow School, Cooper served as assistant head, dean of students, and he coached and taught math, Latin, ethics and public speaking, and led middle school advisory groups. He was also actively involved in the school’s re-accreditation process and an initiative to expand the school to include grades seven and eight. Cooper earned a Master of Education in private school leadership and a master’s degree in educational leadership from Columbia University; he received his Bachelor of Arts in growth and structure of cities from Haverford College, and a diploma from Groton School. 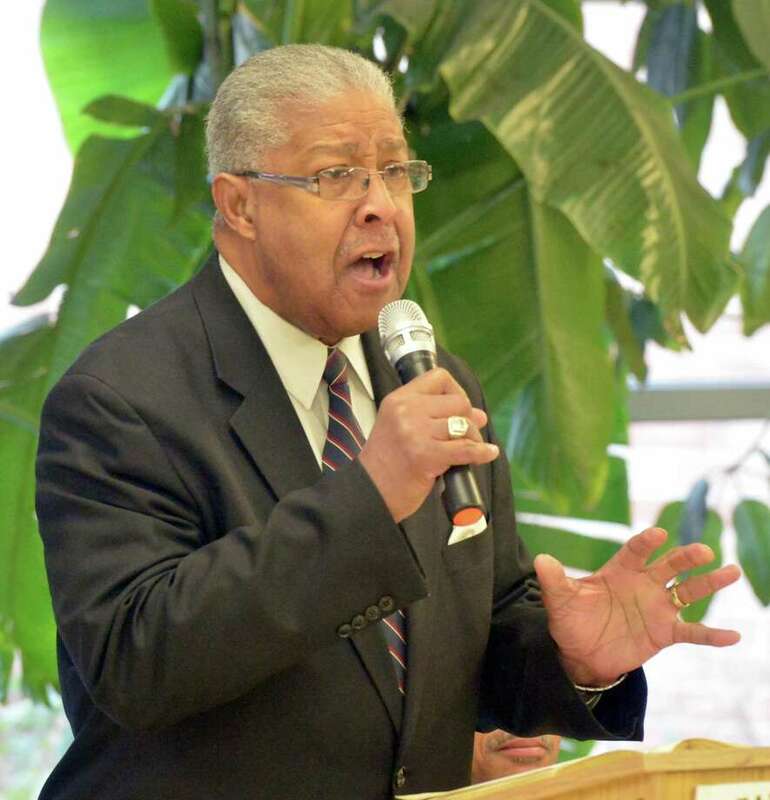 He serves on the board of The Community Chest of Englewood, has served on five re-accreditation visiting committees and is a member of the Elementary School Heads Association. This announcement is the culmination of a comprehensive effort led by the Head of School Search Committee and consultants at Carney, Sandoe & Associates over the past seven months. The search committee was led by co-chairs Lynne Byrne and John Lancaster and included Yolanda Coffield, Marisa DiBiasio, Gary Engle, Bart Fredo, Sarah Irwin, Barbara van der Kieft Latimer, Randy Salvatore and Gretchen Tapscott. New Canaan’s Leslie Y. Ford, a student in the Hankamer School of Business at Baylor University in Waco, Texas, was named to the dean’s academic honor roll for the 2017 fall semester. Students honored on the dean’s list are Baylor undergraduates with a minimum grade-point average of 3.7, while enrolled in a minimum of 12 semester hours. Thirteen New Canaan natives made the fall dean’s list at the University of Connecticut: Davis Baer, Caroline Bearden, Angelina Fagundes, Calvin Gaynor, Luis Gonzalez-Miranda, Shelby Haydu, Nicole Howard Krog, Sarah Maddox, Hazel Montano, Maria Oliveira, Anneliese Segarra, Maximilian Urbahn and Erin Williams. Curry College is proud to announce that William Young, of New Canaan, has been named to the dean’s list for the fall 2017 semester. To qualify for the dean’s list, students must earn a 3.30 GPA, have no incompletes, and have no grade lower than a “C” for the semester. Mary Pivirotto, daughter of Jennifer and Richard Pivirotto of New Canaan, has been named to the dean’s list at Hamilton College in Clinton, N.Y. for the 2017 fall semester. To be named to the dean’s list, a student must have carried throughout the semester a course load of four or more graded credits with an average of 3.5 or above. Pivirotto, a senior majoring in economics, is a graduate of St. Luke’s School. The New Canaan Preservation Alliance, Inc. selected The Public Archeology Laboratory, Inc. to prepare the nomination of Waveny Estate to the National Register of Historic Places. NCPA selected the consultants from among 20 applicants after consultations with the Connecticut State Historic Preservation Office. PAL is a leading authority in cultural resource management and specializes in archaeology, architectural history, research and documentation, and preservation planning throughout New England and the Mid-Atlantic region. An independent, nonprofit corporation with offices and laboratories located in Rhode Island, PAL has successfully completed more than 3,500 projects in the areas of cultural resource management, historic preservation planning, and regulatory consultation and compliance. PAL prepared the nomination listing 12 of New Canaan’s “moderns” to the National Register in 2010. Virginia Adams, senior architectural historian for PAL, will be coordinating the research. She has assembled a team to include a landscape historian, as the landscape and gardens were designed by the world-renowned Olmsted Brothers; an interiors historian as the interior decoration and furnishings were designed by the prestigious Albert Herter and Herter Looms; and an architectural historian as the mansion was designed by the eminent William B. Tubby, NYC architect. NCPA requests any materials, maps, or documents pertinent to the history of Waveny be please shared with the consultant. Any such materials may be brought to the attention of Mimi Findlay or Rose Scott Long, who are supervising the project for NCPA. They can be contacted at newcanaanpreservationalliance@yahoo.com. The nomination will be presented to the State Review Board in early summer, with a preview given at the annual May meeting of the NCPA, who is sponsoring the nomination. The public will be invited to attend both presentations. Half the cost of the preparation of this nomination is funded with a grant from the State Department of Economic and Community Development Commission, Offices of Culture and Tourism through the State Historic Preservation Office.